Your support is critical to our work. Home > Featured > Your support is critical to our work. 05 Oct Your support is critical to our work. Help us continue to transform young lives through jazz by donating to our YEAR-END APPEAL today! With your help we can transform lives. Donate to the 2016 YEAR-END APPEAL! 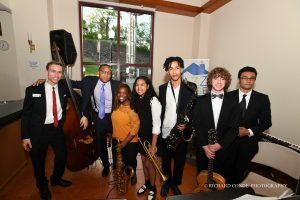 Your contribution to the Music + Education fund will allow Jazz House Kids to reach students of all ages, backgrounds, and abilities, and help them develop as young people using jazz as a life-changing tool. The Jazz House Kids Music + Education Fund addresses the crisis in arts education today, by bridging the gap for our underserved schools and families in need. Jazz House Kids does much more than teach musicians: We give students an artistic edge. Our tested programs and world-class education develop community leaders and global citizens. Build a Jazz House, build a child’s future! Thank you for giving the gift of music! All of us at Jazz House Kids wish you a joyous, peaceful, and musical holiday season!